Info: This the first self-immolation to occur in the Tibet Autonomous Region, and the 13th since Kirti monk Tapey set himself on fire on February 27, 2009. The self-immolations have mainly occurred in Ngaba (Chinese: Aba) Tibetan and Qiang Autonomous Prefecture in Sichuan (the Tibetan area of Amdo), with three in neighbouring Kardze (Chinese: Ganzi) Tibetan Autonomous Prefecture (the Tibetan area of Kham). Radio Free Asia reported that the former monk set himself ablaze in Khamar township in Chamdo, that his wife's name is Dolma, and that he has two sons and a daughter. (Radio Free Asia Tibetan service in English, December 1). 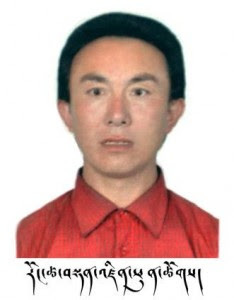 According to the Tibetan Center for Human Rights and Democracy, Tenzin Phuntsog died at Chamdo Hospital on December 6, 2011 (TCHRD, 9 December 2011).